ARTISTS: HyperJuice, HABANERO POSSE, SHINSTAR, KATCHI, EGL, Blacklolita, DJ DON, KOTOBA SELECT, YonYon, Humungas, min. 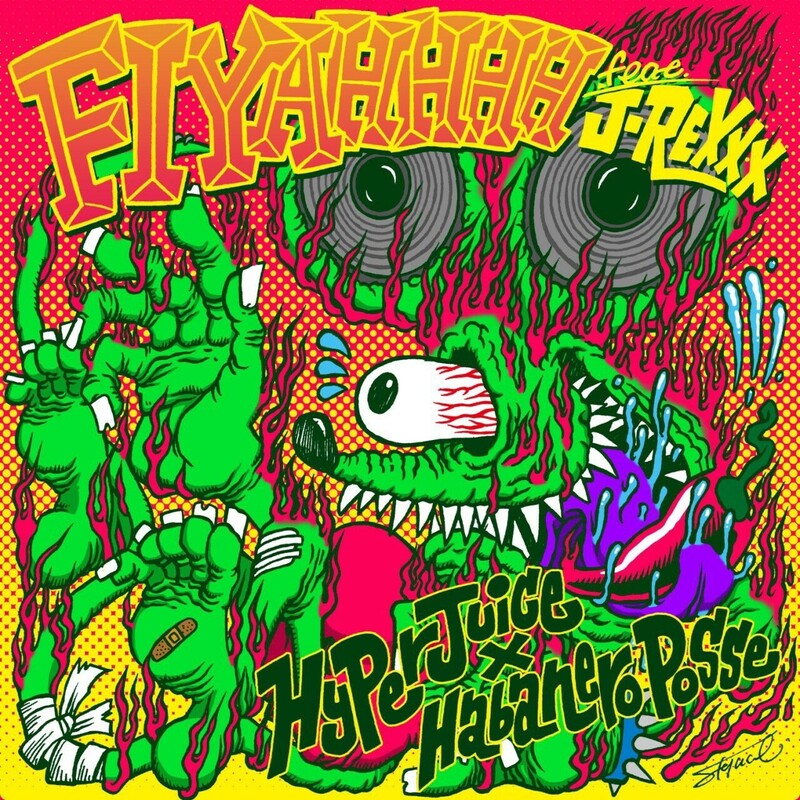 新曲「HyperJuice × Habanero Posse - Fiyahhhh feat. 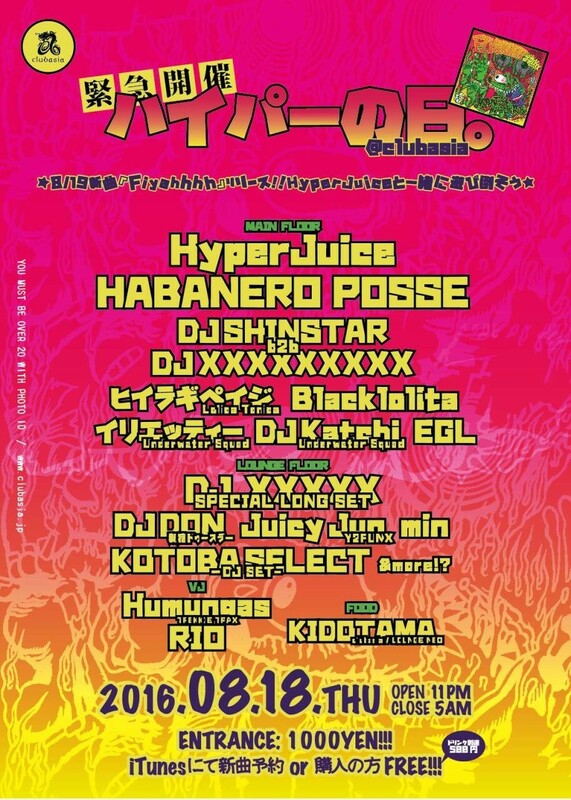 J-REXXX」でもコラボレーションしているHABANEROPOSSEを筆頭に彼らと親交の深いアーティストが続々出演決定!!! KOTOBA SELECT 2012年の4月に結成。YonYonとqoozilaの二人編成。2014年夏のRO69 JACK 2014入賞を切っ掛けに活動が本格化し、現在積極的にライブ活動・制作活動を行っている。それぞれ幼少期から触れて来たR&BやRockなどの様々な音楽をヒントに独自の解釈で新しい日本のポップミュージックを作ることを目指している。またDJユニットとして都内各所のパーティーに出演する一面も持っており、今後も幅広いフィールドでの活躍が期待される。 KOTOBA SELECT are a Japanese indie music duo formed in Tokyo, 2012. The group consists of Youngeun Jeong(Mainly on vocals, synthesizer) and Yudai Ishii(Mainly on guitar, vocals). Incorporating indie rock sounds into an R&B/HipHop beat, their tracks are full of originality. Yet their music being defined as stoic or complicated, most of the songs are written in Japanese with a catchy J-pop influenced melody witch leads the band to become a pioneer of a new genre in Japanese pop music history. Not only do they perform live but also perform as DJs in many parties held in Tokyo/Seoul as well. Winning prize artist of Japanese band audition "RO69 JACK 14"and"RO69 JACK 14/15"